The membership sub remains at €45 and is now due. A very successful day for the Irish Team that won gold in Killarney; Julie Gerry was Top Irish Rod in the International Match which gave them the edge to win gold. Scotland 2nd, Wales 3rd and took the Top Rod overall and England 4th. Congratulations all. It was catch and release with all fish over 8 inches measured. The Irish Ladies are hosting the 21st International Match on the beautiful Lough Lein Killarney on the 18th June 2009. The Committee are very busy putting the final touches to the preparations and looking forward with hopes that the fish will respond well to all anglers on this beautiful lake. Practice days are June 15th 16th 17th. The Irish Ladies extend A Cead Mile Failte to the visiting teams. The second trial of the season will be held 23rd May on Lough Lein, Killarney from Ross Castle fishing 11 am to 6 pm. The third and fourth trials will be held in Leinster and Ulster. Details and arrangements are not yet finalized. The 2008 AGM was held on Saturday and Anne McWilliams remains as Chairman, Dorrie Gibbons as Secretary with Margaret Rooney as PRO. The 2008 AGM will be held at 2pm on the 29th November 2008 at the Greville Arms Hotel Mullingar. The 2009 Ladies Fly Fishing International Match is to be held on Lough Lein Killarney on the Thursday 18th June 2009. The fourth trial is set for L Lein Killarney on the 4th October 08. Fishing from 11 to 6. Entries to Muriel Scorer to arrive before the 26th of September. The 3rd trial of the ILFA was held on Lough Conn out of Gortnorabbey Pier Crossmolina on the 6th September. 12 anglers participated. It was won by Orla Walsh with the only qualifying fish landed on the day. It weighed 0.64 kg. Well done Orla. The Irish team were 3rd in the InternationalMatch held on Lake Menteith, Scotland in June..
At 12.30 at the Greville Arms Hotel Mullingar a Special General Meeting is being held and all members are requested to attend. The 2008 International Match is to be held on Lake Menteith Scotland Tight lines to Captain Julie Gerry and the team. The second trial of the season will be held on Lough Waskill Donegal a rainbow trout fishery on the 12th April All members welcome. The first trial has been held on Lough Bane near Mullingar and the winner was Orla Walsh. Detailed results later. The AGM of the Association was held on the 20th January 2008. Anne Mc Williams remains as Chairman with Orla Walsh as Hon Secretary. Further information when it comes to hand. The fourth trial/qualifier of the season was held on the 15th on Lough Lene Mullingar on a beautiful day on the lake. It was fished as catch and release, yet the fish were reluctant to bite however a great day was enjoyed by all and a good result towards team 2008. 1st: Ruth Mettler, 2nd: Moira Cosgrove, 3rd Ann Kerrin. Thanks to Tom Fagan Club Chairman and to all the boatmen/boatwomen who helped at each trial during the season their support is very much appreciated. The third competition in the 2007 league was held on Saturday 18th August 2007 on Castlewellan Lake in County Down. Eleven ladies from all over Ireland arrived in Castlewellan Forest Park on a very wet and mizzly morning but enthusiasm prevailed and soon all were in full waterproof gear and tackled up. For some it was their first visit to Co Down and for others the journey wasn't very long. All agreed that the lake looked lovely especially when trout started rising in close proximity to the slipway. There'd been brilliant support from the DCAL staff at the fishery to set the competition up and that included a stocking of 800 brown trout during the previous week. It seemed that the trout were confirming their presence. 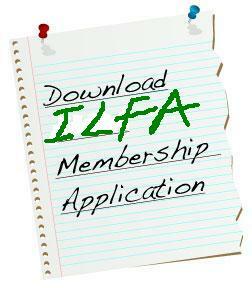 For some time the ILFA have been running at least part of each league competition as catch and release. The system in use at the minute by the ILFA starts off awarding 100 points for a fish of taking size and then attributes 25 points for every other cmThe competition started at 11 am. The first fish was boated by Orla Walsh - a nice rainbow that fell to a Clan Chief. Julie Gerry then followed with a brownie that also came to a fly similar fly. A Cats Whisker gave Madeleine Kelly her bag limit of 4 very quickly after that and her boat partner Orla Walsh soon had the bag limit. Meanwhile Susan Brown out with Carole Roache who is new to angling had moved off to the west end of the lake. Susan took a couple on wet fly Hardys Favourite Wet Sedge and a Small Cormorant. She then switched to dries and got her winning bag on an Elk Hair Sedge and a small brown sedge. The biggest fish of the day was caught by newcomer Linda Straghan (fishing with Julie Gerry) on a fly similar to a Clan Chief with a black and claret body, a black palmered hackle and two-tone tag. The fish measured 46 cm and was worth 600 points. Julie Gerry continued fishing close to the slipway and ended up with 9 fish to a clan chief, claret dabblers and yellow stimulators. The facilities at Castlewellan are excellent - good boats, helpful staff, a purpose built boat dock, disabled toilets and help available with all our equipment. Congratulations to Linda Straghan a new angler to the Association getting the biggest fish and to Susan Brown who was the winner with 8 fish. The next trial is on Lough Lene Mullingar on the 15th September and we are hoping for a full attendance on the day to qualify for the panel for the 2008 team. Thanks to all concerned in the organising of the event at Lough Conn and the Moy. Pontoon Bridge Hotel and all the Geary family put on a great welcome for the visiting anglers, hosting a reception on the Thursday night with Faillte Ireland on the Friday Night and the Fishery Board on Saturday Night. The Weather was beautiful but not quite what an angler wants, yes we fished Lough Conn and explored while basking in the sunshine and how beautiful the lake and the islands looked. A very enjoyable weekend and lots of photos I hope for the website. Pudge and her group were very welcome and hopefully the next time the fishing will be more productive. A few fish were caught each day but they were hard to come by. The pike and the perch were more interested in our flies. 6th June 2007 Cead Mile Failte to our angling visitors from the IWFF USA. All members past and present are welcome to join us this weekend 7th 10th June at The Pontoon Bridge Hotel Foxford Co Mayo where we will join with visiting sister anglers from USA to fish Lough Conn and talk and share a meal or two. Grafham Water England 31st May 2007. International Match. Not the best of results for Ireland, Wales won, Scotland 2nd, England 3rd and Ireland 4th. Anne McWilliams was top Irish Rod, 2nd Orla Walsh, 3rd Margaret Rooney & 4th Madeleine Kelly. Congratulations to Maddy Kelly who came 2nd overall in the European Cup on Lough Mask. Maddy won an engine for her 5 fish over the 2 days. Maddy would have won the heaviest fish prize had she not finished in the top 3, her biggest fish weighed 2lb 15oz. She also collected the Ladies Prize!! This is a great achievement and very well deserved. Sorcha Weld, Stella McGriskin, Margaret Rooney (Vice-Captain), Anne McWilliams (Captain) Maddy Kelly, Ann Kerrin, Julie Gerry, Jean Johnston, Deirdre Sweeney, Muriel Scorer, Orla Walsh, Betty Hayes, Esther Ferreira. Best wishes and tight lines go to the team from the Chairman and the Association. The first trial of the season was held on Saturday at Ballyhass Fishery Co. Cork. It was Catch and release and most anglers caught fish. It was won by Orla Walsh with 3 fish for 125cm, second was Muriel Scorer with 3 fish for 120cm and third Julie Gerry with 3 fish for 116cm. Congratulations to Julie Gerry who has taken over as Chairman. Co-opted to committee are Deirdre Sweeney and Sorch Weld and we wish Julie and all the committee all the best for their term in office. We regret our Chairman has decided to take time out and wish her all the best for the coming fishing season and thanks for a job well done during her chairmanship. The Angling Show at Cloghran Swords was well attended and succesful thanks to all the ladies who gave time on the stand and generally helped to raise funds for our team 2007. The show at Kings Hall Belfast was very successful with new members being recruited and some welcome funds in the kitty for team 2007. Hon Sec: to December 31st 2006.Susan Brown. Committee: Anne McWilliams, Margaret Rooney, Stella McGriskin. Lady Angler of the year was Anne McWilliams. Kings Hall Belfast Sat 27th and Sun 28th January. Angling Ireland Cloghran, Swords Co Dublin Sat 17 & Sun 18 February. Derry Fly tying Show Derry Sat. 10th & Sun 11th March. 14 who will travel to compete at Grafham, England in May/June 2007.